Brewery regions are very pretty around now, so green and lush, and brewery people are nice. 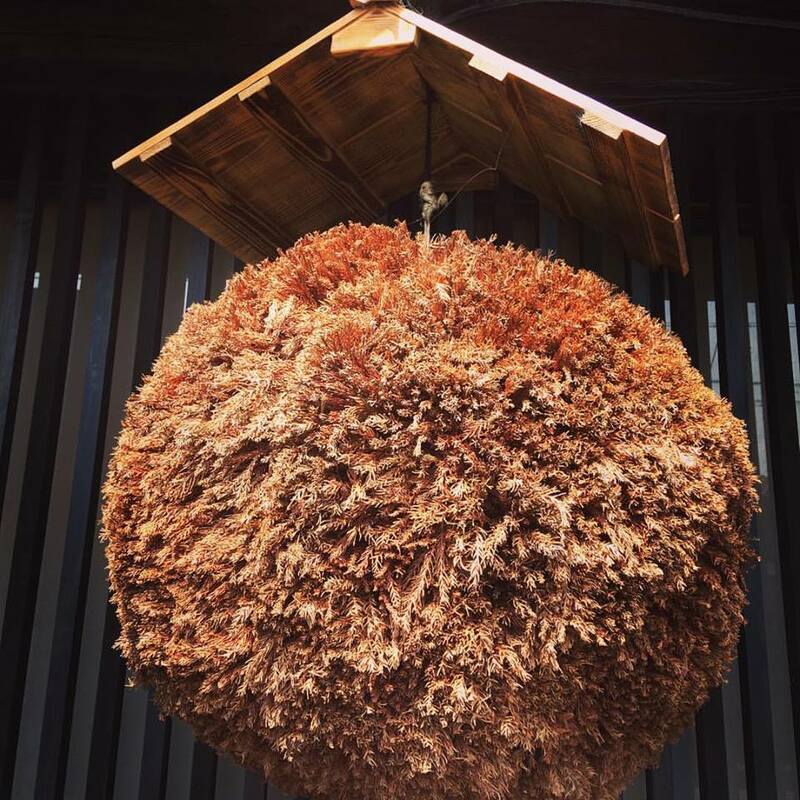 Breweries hang Sugidama, cedar ball outside to signal that fresh production was on its way. Kagami-biraki celebration is the action of breaking the lid of a sake barrel with a wooden hammer and the sake is served to everyone present. the act of breaking open a sake barrel marks the start of something new. 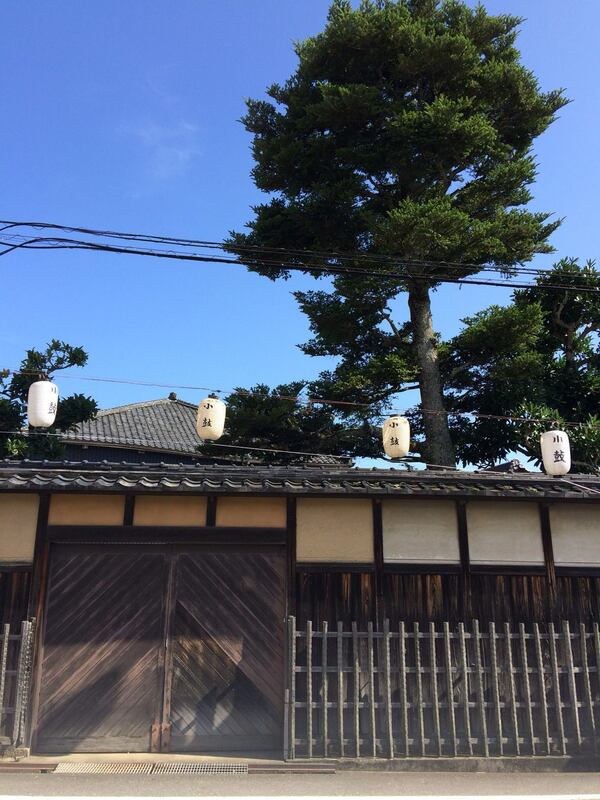 the start of this coming May countless you can see broken Sake barrels because With the abdication of the current Emperor on April 30, 2019,　the era of Heisei will end and a new era ”Reiwa” will begin. 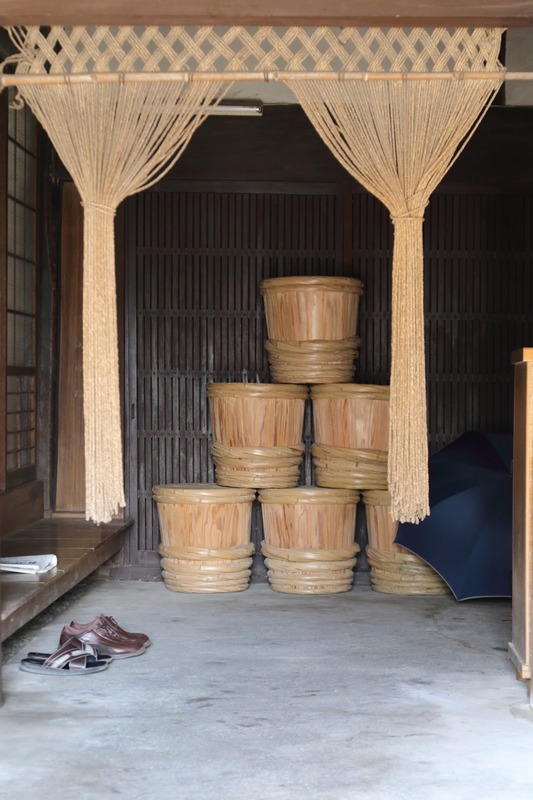 In Japan, you can see displaying piled barrels of sake. it is also a celebration. the wooden barrel factories should be jazzed now. 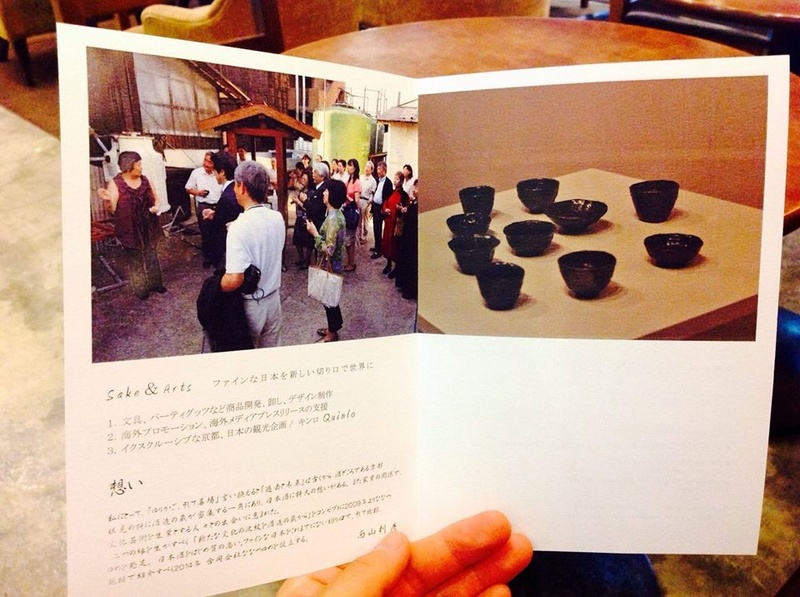 Breweries make Sake ,especially premium from Yamadanishiki ,a rice grown in Hyogo. 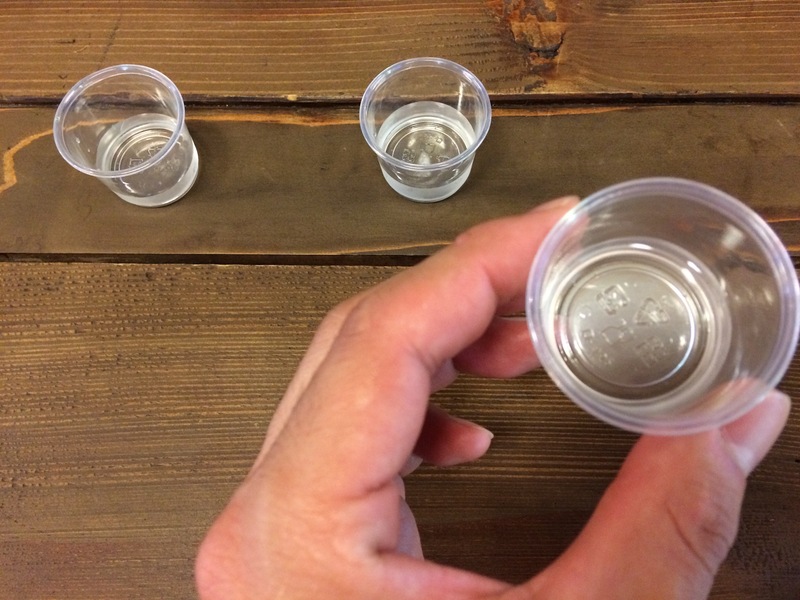 There’s certainly nothing wrong with that, but when we visit a brewery in, part of the fun of the visit is tasting Sake made from rice grown in the province , near where we’re standing. 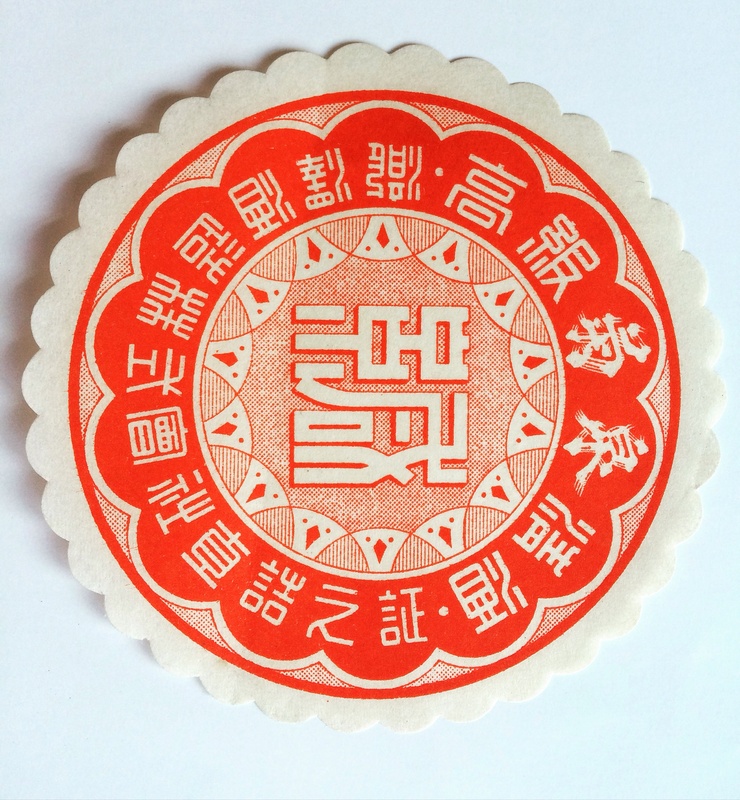 The label is the Sake bottle’s shopfront, where it displays its logo design to attract custom. 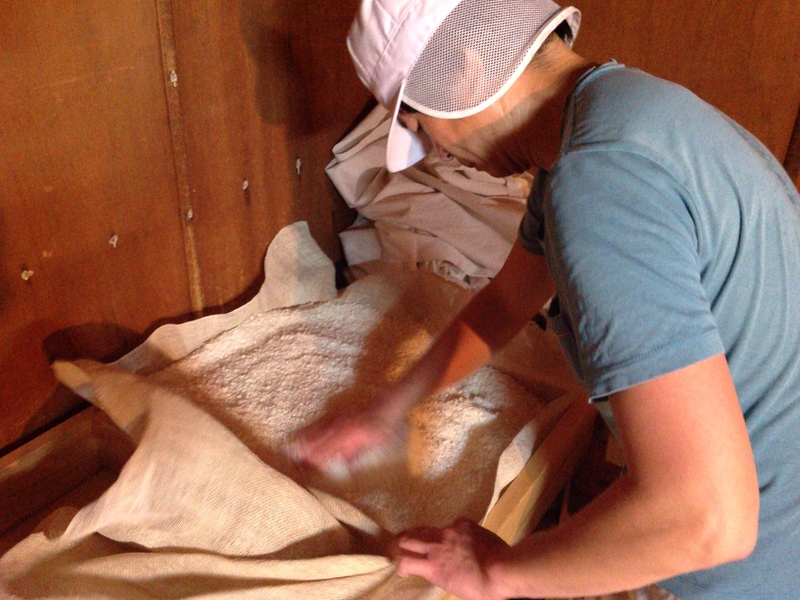 to see and touch the vintage ones is one of joys at a brewery..
A scene from at koji muro room to increase the number of Koji spores. . Generally Sake is made primarily in winter season , however koji mold (Aspergillus oryzae) grows at 30°C-40°C and requires suitable humidity levels. 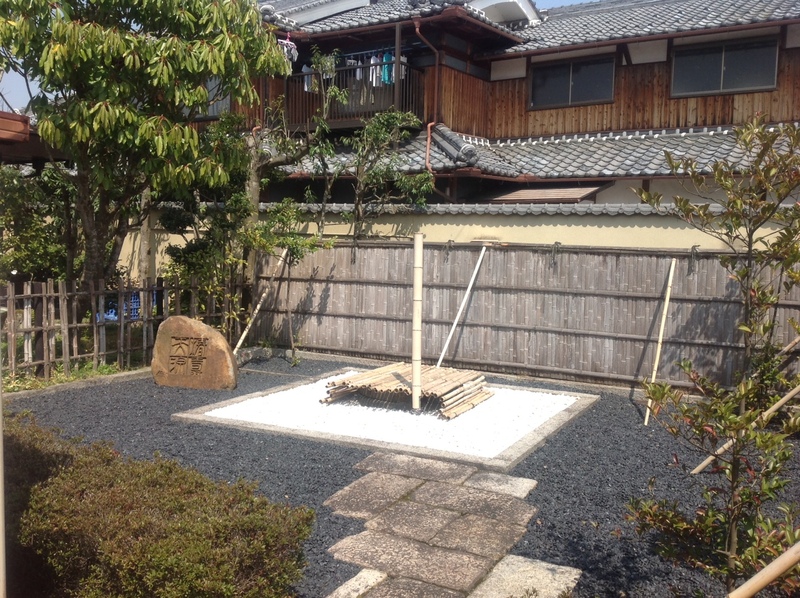 koji muro room is a space separated from the outside. 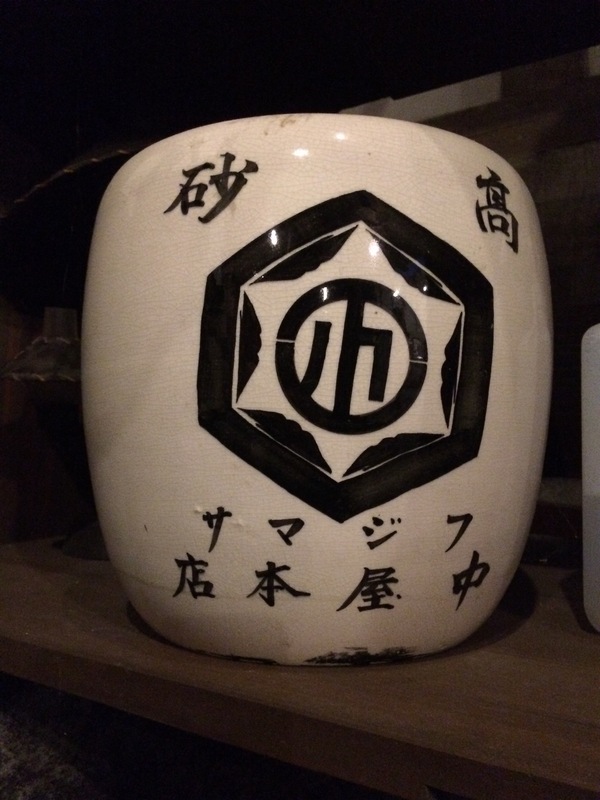 Sake is an alcoholic bevarage made from fermented rice. 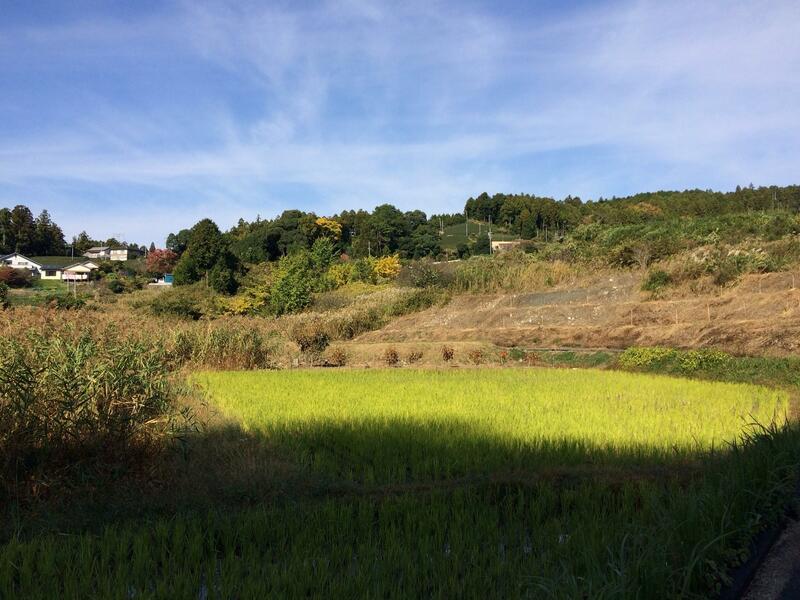 Renowned rice-producing regions are sake-producing regions. 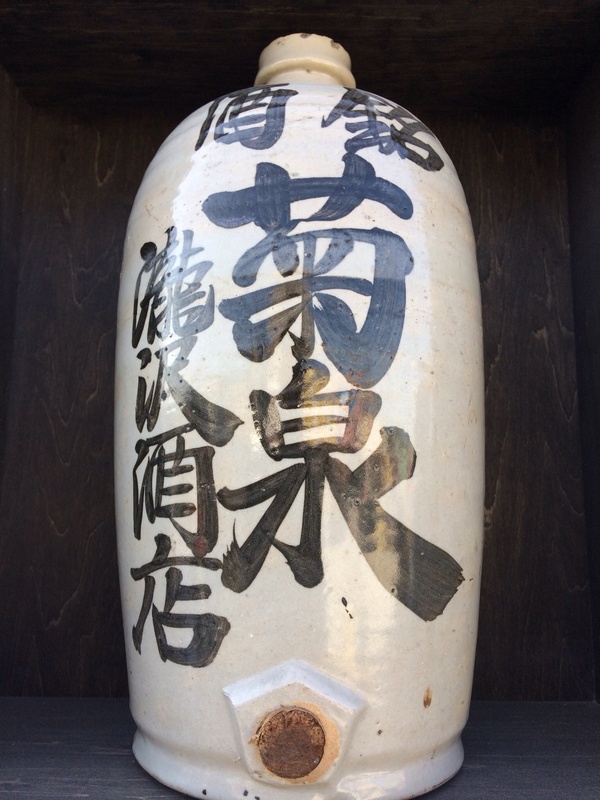 Tokkuri, generally ceramic bottle, used for selling sake was lent by sake trader and the name of the shop, was written with calligraphy and bold‐faced characters.discovery old bottle is one of the biggest joy in Sake brewery visit. 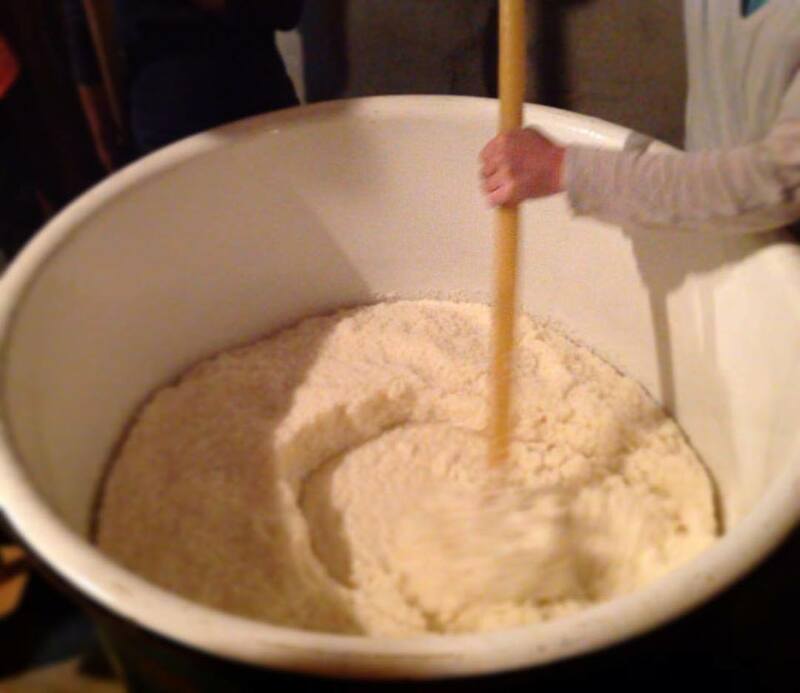 In making bread, the yeast is mixed with the dough and kept warm. The carbon dioxide produced by fermentation makes the bread dough rise and the alcohol evaporates.